This process allows you to obtain lists of contacts to upload into other applications such as MailChimp etc. 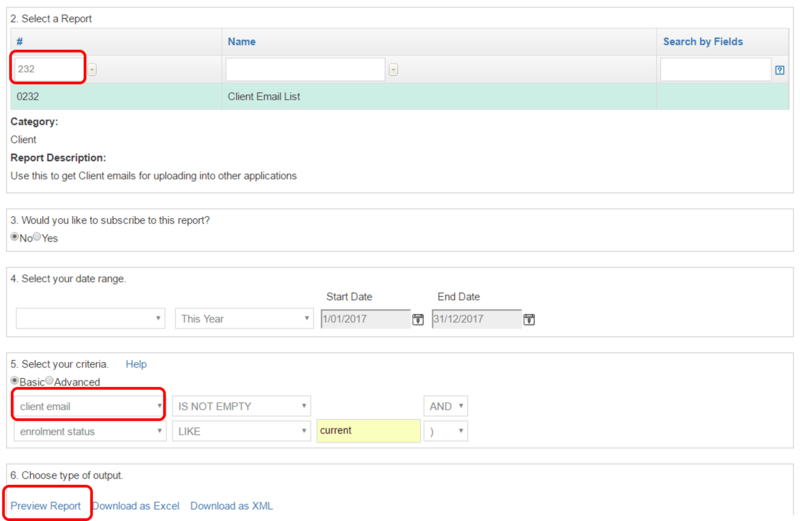 You can filter by your desired criteria and then upload into another application. Each application will have their own upload feature. Always follow the applications instructions. Be mindful of duplication as some applications will be able to filter these and others may not. The alternate option to uploading or importing the entire spreadsheet is to simply copy and paste the relevant data into the application. If you would like to receive a report periodically with updates on your criteria you can subscribe to the Report.